A rematch to whet the appetite is on the cards in Saturday's Betfair Chase at Haydock with connections of Gold Cup winner Native River relishing a rematch with runner-up Might Bite. Their Cotswolds clash was a duel for the ages as Colin Tizzard's Native River got the better of Nicky Henderson's Might Bite and the pair are set for a quick repeat as they top the nine declarations at the five-day stage for the €225,000 Grade One. 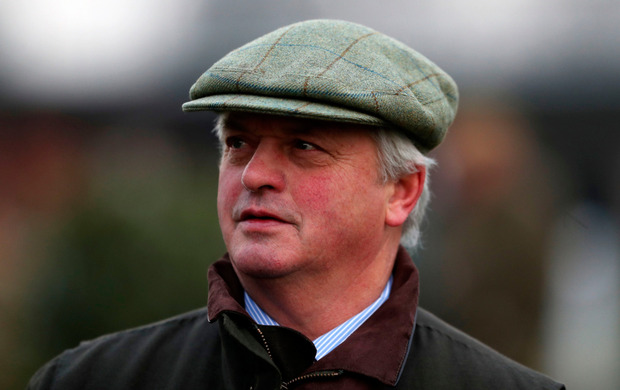 Having subsequently skated home in the Aintree Bowl, Might Bite (Evens) is favoured to turn the tables on better ground but assistant trainer Joe Tizzard insists he holds no fears for Native River (11/4). "These two taking each other on is great for racing. We have massive respect for him but we aren't hiding away. I'm not afraid of Might Bite, that's for sure," Joe Tizzard said. "Native River has been given this brand as a slogger but he really is as tough as they come. He has a lot of class too. He is just what you need for these races. This has always been the plan for him, he has been back since July and hasn't missed a day." The Tizzards will also be represented by 2016 King George winner Thistlecrack (8/1) while last year's victor Bristol De Mai is still in the mix for Nigel Twiston-Davies, and Paul Nicholls has two potential runners in Clan Des Obeaux and Politologue. Gordon Elliott is the sole Irish trainer with entries as JLT winner Shattered Love, Outlander and the long-absent Don Poli look set to run. Meanwhile, Enable is 9/2 favourite to do what no horse has done before and secure a famous hat-trick of victories in the Prix de l'Arc de Triomphe at Longchamp, with John Gosden's brilliant filly set to stay in training for 2019. Teddy Grimthorpe, racing manager to owner Khalid Abdullah, said of the news: "She only ran once as a two-year-old, had a full three-year-old season and only ran three times this year, so she doesn't have loads of miles on the clock."